When I discovered that the marvelous David Byrne and Annie Clark (also known as St. Vincent) were collaborating on an album together, I knew something magical was going to be produced. Yesterday, their album titled, Love This Giant was finally released. Although I had been listening to the album intently and continuously over the past few days, (thanks to the full stream made available by NPR) I gave the album yet another few listens yesterday since it marked their official album release date. 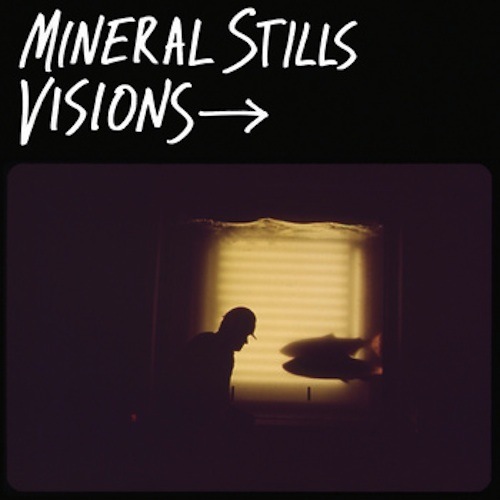 Awash with the memories of they're travels, Mineral Stills album "Visions" seems to encompass a travelers log placed on top of a rising mix of indie, blues and southern riffs. It is not for the most part an abstract album, far removed from the psychedelic digital atmospheres prevalent today, Memory Stills have produced an album raw and analog. The first highlight of the album comes in the form of a down and hell bent southern riff in "Keep It On The Level". It races along with images of the underbelly of society, pretty great vibes. Another highlight is the contemplative and exploratory "Sea of Trees". An inspiring account of a journey beneath pines, the muffled sound of snow is accounted for in lyrics like "frozen trees, evergreens, covering the moonlight as you slip away, out before anyone knows" and conjures up images of a silent escape discovering the Sierra Nevada mountain range. "Visions" as a whole seems to be quite a personal album, a call to free experience. It doesn't aim to be revolutionary in technique or musical process but it has the possibility to connect with the listener in a positive manner. I would say their sound has many contemporaries, which is not a bad thing in any sense, and they're song writing prose has the advantage of simplicity that lets listeners into the bands experiences. In terms of their online and social media presence, I'm afraid I can't find any evidence of their prominence. The bands album site, run through Band Camp, doesn't have links to any of their own social media profiles. A quick search of "Mineral Stills" does bring one to their site but no social network links are to be seen besides Last.FM which provides no bio or even images of the band. The Band Camp site offers a way to "share" an album track which does encourage the proliferation of their music but it is rather ambiguous on the site and the simple "share' drop down link doesn't stand out. They're website is essentially just a merchandise vehicle. The only MySpace I could find for a band called "Mineral Stills" is a defunct band from Texas. They're Band Camp site seems intent on the advantage of online retail however, offering options to consumers to pay what they choose for the album (as long it is more than $5 for the album and $.50 per track which is very reasonable) and giving plenty of links to do so. With just a few hours of social networking development, Mineral Stills could establish a much stronger online presence, giving the opportunity to expose more people to their music and, as they put it, get more revenue which "goes directly toward making more tunes." Some improvements would need to be made to elevate their presence beyond it's current clumsy state. As a side note, they have an excellent album booklet which you get as a bonus with the purchase of "Visions." The booklet contains some pretty amazing photography of road trips taken decades ago, a really great compliment to the music which really helps connect the vision of the album to the viewer. This product could be emphasized in different forms and compliment the site in a more effective way.